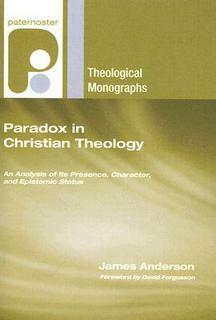 Paradox in Christian Theology is a revision of my doctoral thesis published in the Paternoster Theological Monographs series by Paternoster in the UK and by Wipf & Stock in the US. To my great surprise (and delight) it has garnered more interest than it deserves. This page is an attempt to gather in one place the various references to the book I’ve come across. It has been reviewed by Steven Boyer in Religious Studies 44:2 (2008), Paul Brazier in The Heythrop Journal 49:2 (2008), Dale Tuggy in Faith and Philosophy 26:1 (2009), and Victoria Harrison in The Journal of Theological Studies 61:1 (2010). (Tuggy’s review is reproduced here.) Gary Crampton wrote a highly critical review for The Trinity Review; I’ve written a lengthy response. Tuggy followed up his review with a critical article on my proposal: “On Positive Mysterianism,” International Journal for Philosophy of Religion 69:3 (2011). (You can read a preprint here.) My initial response is posted here. The book has also been discussed in a few corners of the blogosphere and I’ve posted some comments in response. Paul Manata posted a detailed review on Triablogue (comments are here), which accurately summarizes the book’s argument. Paul Helm has written a short review. Its main thesis has been discussed (directly or indirectly) in several posts on Dale Tuggy’s trinities blog (here, here, here, and here). It gets a mention by Andrew from the group blog City of God (here) and a review by Nick Norelli on Rightly Dividing the Word of Truth (here and here). Despite my best efforts at proofreading, a number of typos crept into the first printing. However, I know for a fact that Wipf & Stock are now printing the corrected version. You can read here the abstract and table of contents from the thesis on which it is based. You can find some reviews on Amazon and on Goodreads. 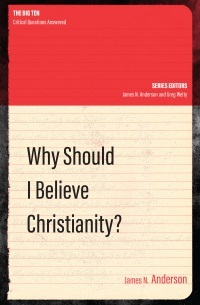 Crossway has also produced a 30-page sampler and a study guide for discussion groups. Some people boldly claim, “Christianity is fine for some, but it isn’t for me”. Others feel it is just outdated and irrelevant. For better or worse, everyone in the Western world has come into contact with Christianity: we all have some opinion on it. 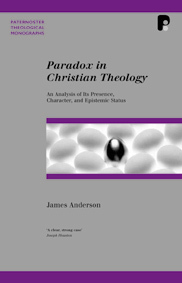 James Anderson, with a clear, humorous logic, explores what Christianity really claims, and shows the underlying reason and consistency behind these claims. 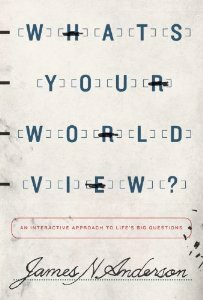 By the end of Why Should I Believe Christianity?, while you may not agree with the Christian worldview, it is impossible to be left sitting on the fence. Forthcoming (November 2019) in P&R’s Great Thinkers series.